PI207. 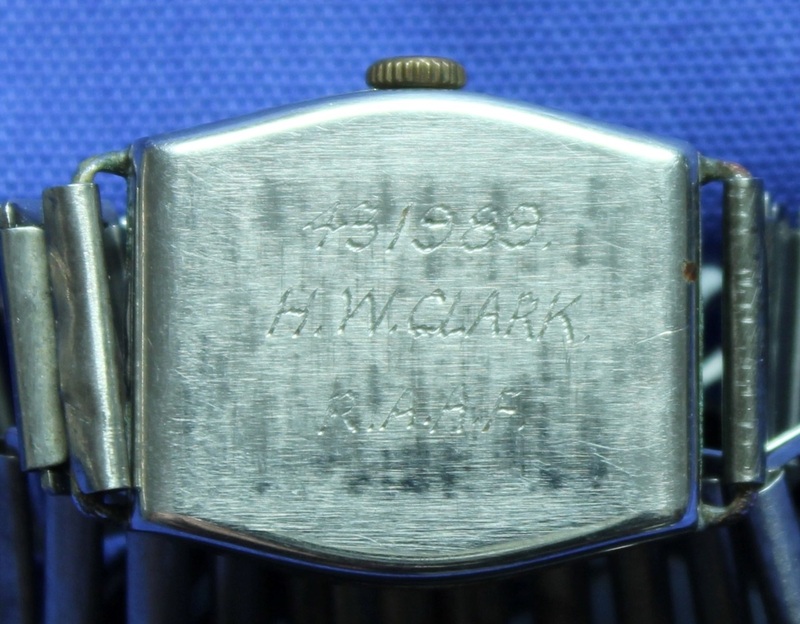 A silver Dunklings wrist watch with an expanding band, the watch is engraved 431989 H. W. Clark R.A.A.F. Harry Warwick Clark enlisted on 10 Sep 1943 at Melbourne and discharged with the rank of Flight Sergeant on 14 Aug 1945 from 5 Operational Training Unit. PI207. 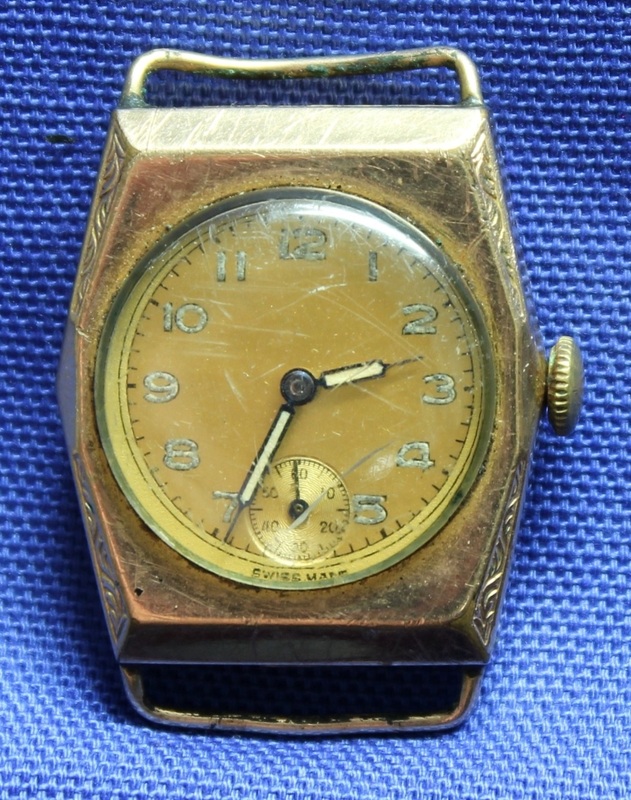 Back view of watch. PI242. Makers mark inside front. PI242. Name inside back of case. PI254. 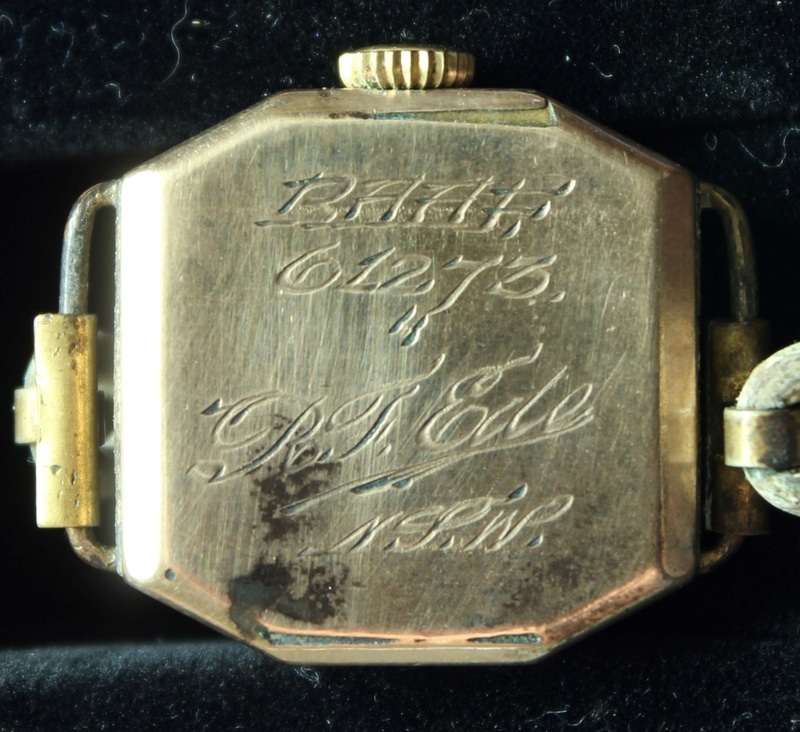 A square gold unbranded wrist watch engraved to RAAF 61273 R. F. Ede NSW. Richard Francis Ede enlisted on 28 Oct 1941 at Adelaide and discharged with the rank of Leading Aircraftsman on 7 Aug 1946 from No 5 Aircraft Depot Forrest Hill. PI254. 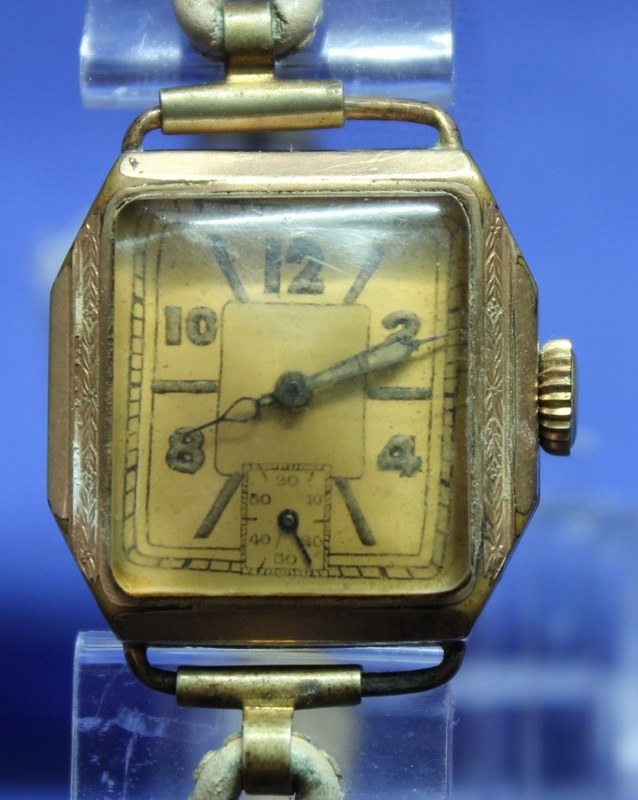 Back view of watch. PI255. 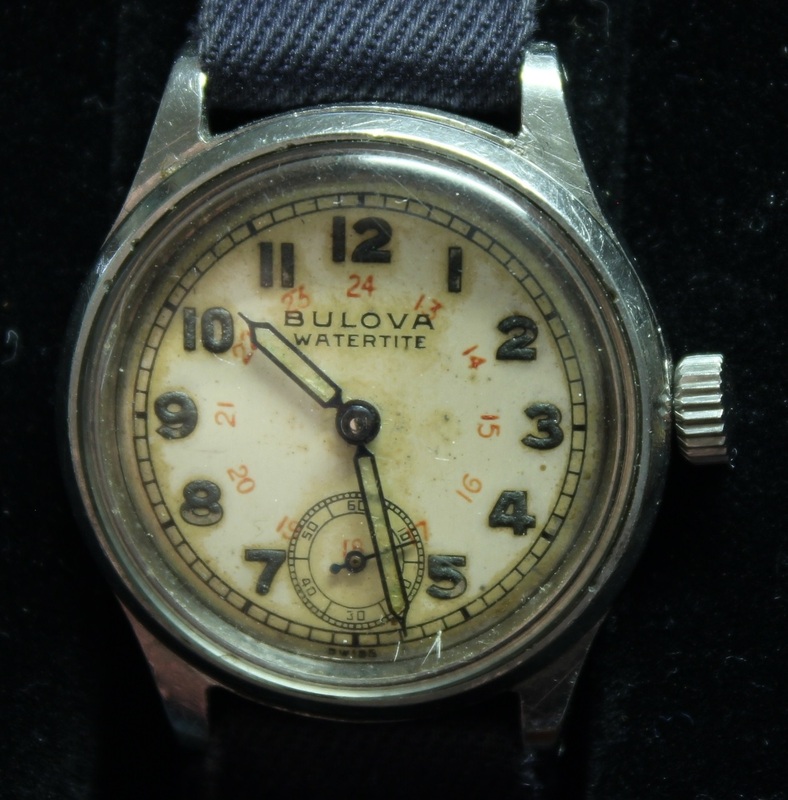 A Bulova Watertite wrist watch engraved RA arrow AF S/N 10315, it has a dark blue cloth band. PI255. 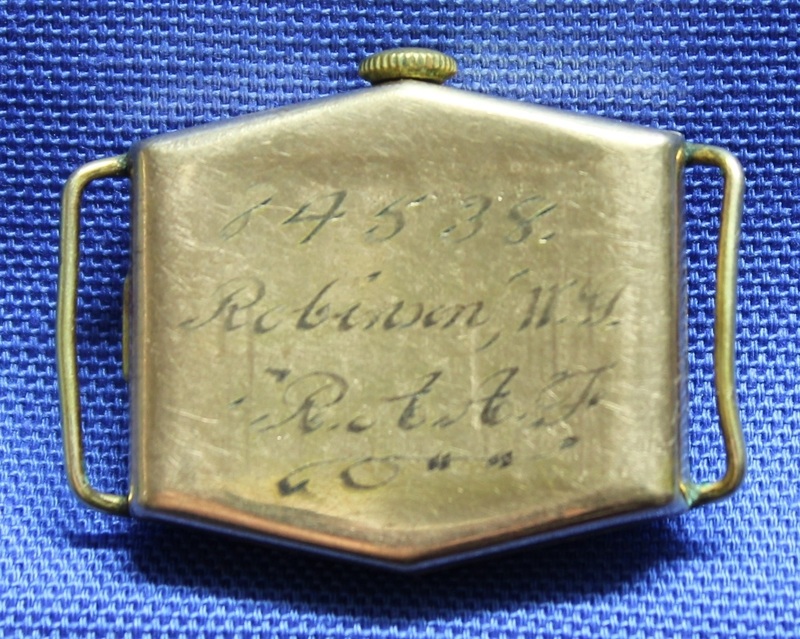 Back view of watch. PI298. 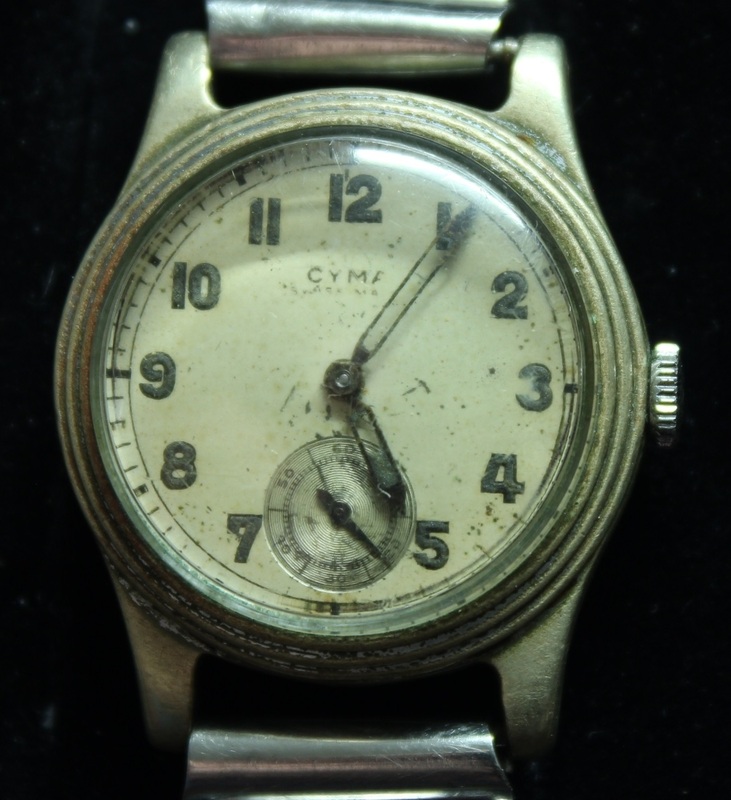 A circular silver CYMA Swiss Made? 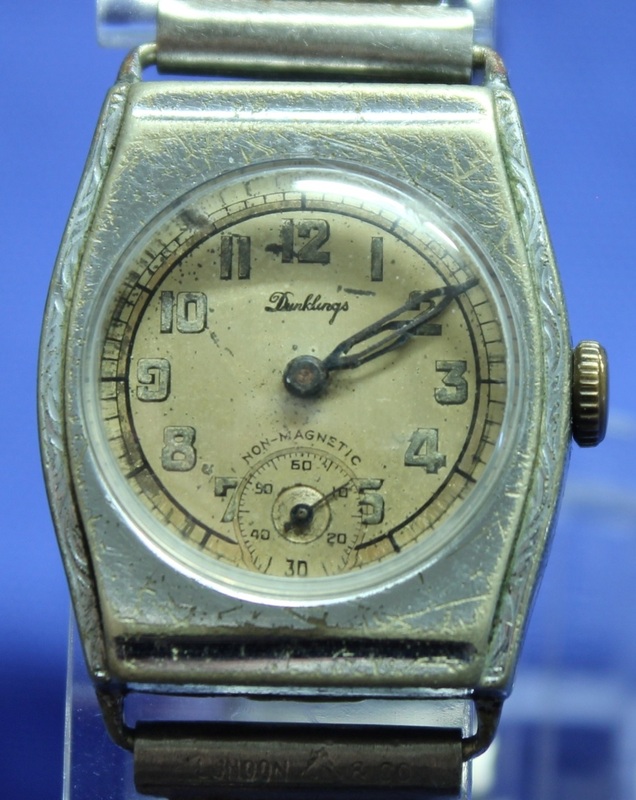 wrist watch with a silver expanding band. 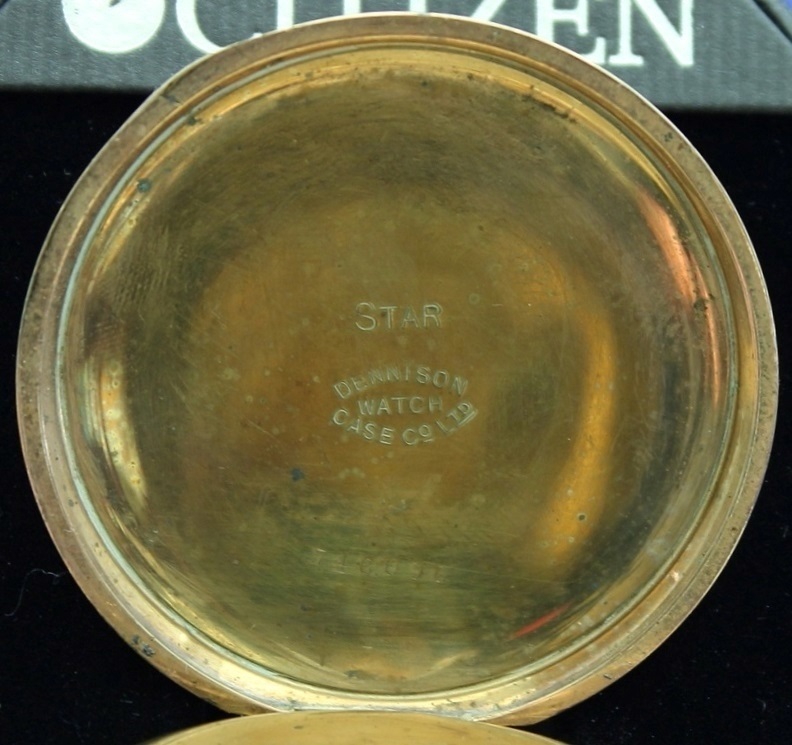 The watch is engraved 50027 J. De Freitas R.A.A.F. from Mum & Dad 11 . 11 . 42. 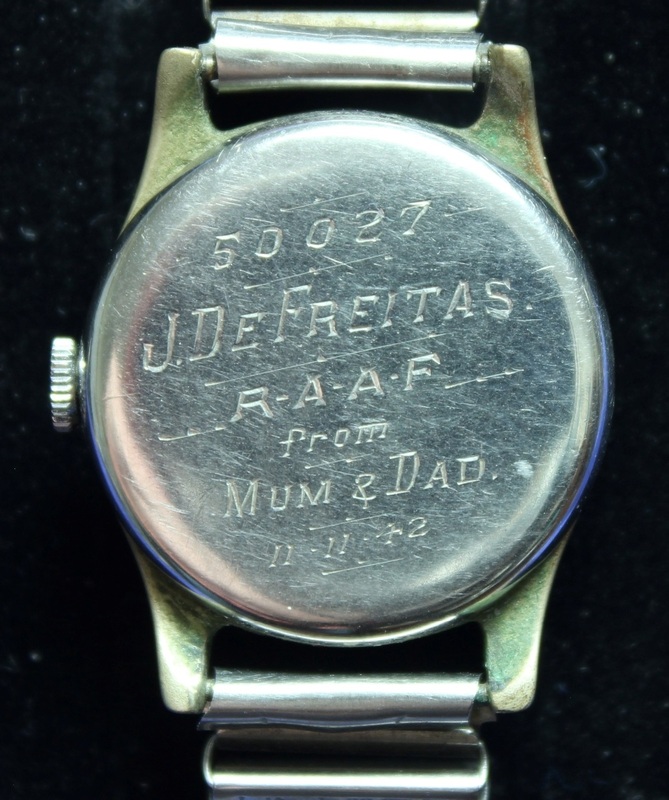 Joseph Elisha Francis De Freitas enlisted on 19 Jan 1942 at Melbourne and discharged with the rank of Corporal on 3 Jan 1946 from 53 Operational Base Unit. PI298. 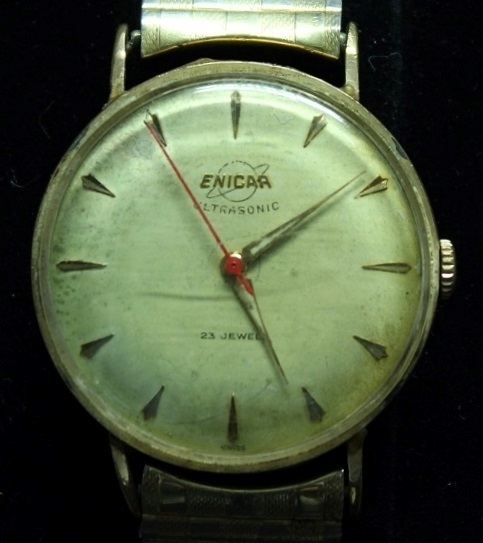 Back view of watch. PI304. 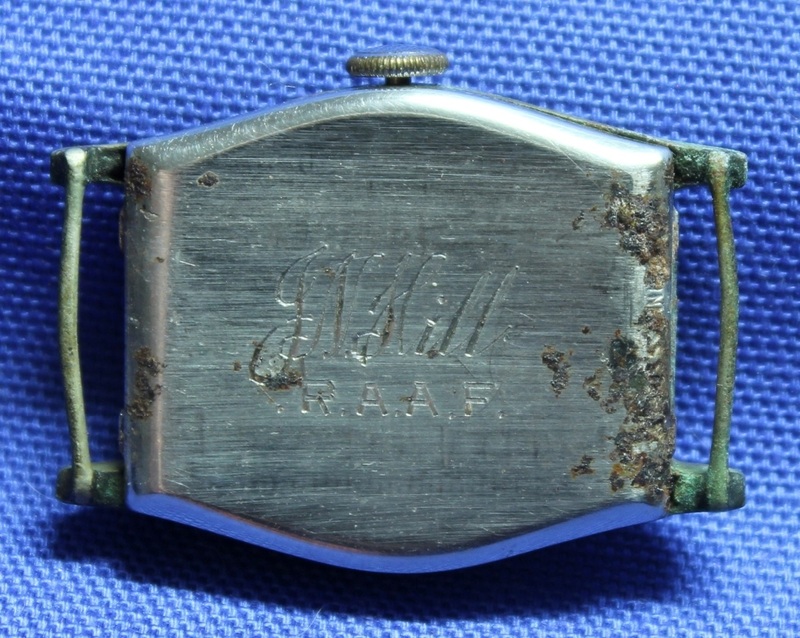 An unbranded rectangular watch with a brown leather band, the watch is engraved J N Hill RAAF. 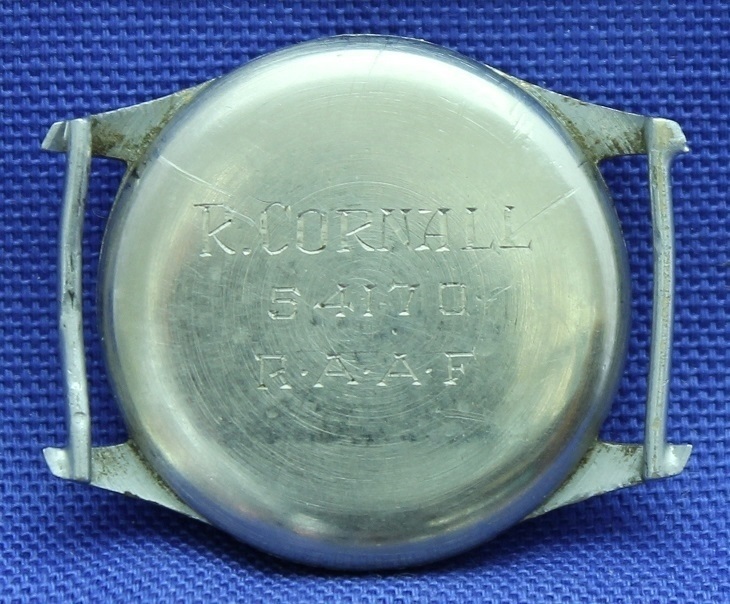 It is unknown when & where 261630 Jeffery Noel Hill enlisted, but he discharged with the rank of Squadron Leader on 1 Nov 1945 from Headquarters Eastern Area. PI304. 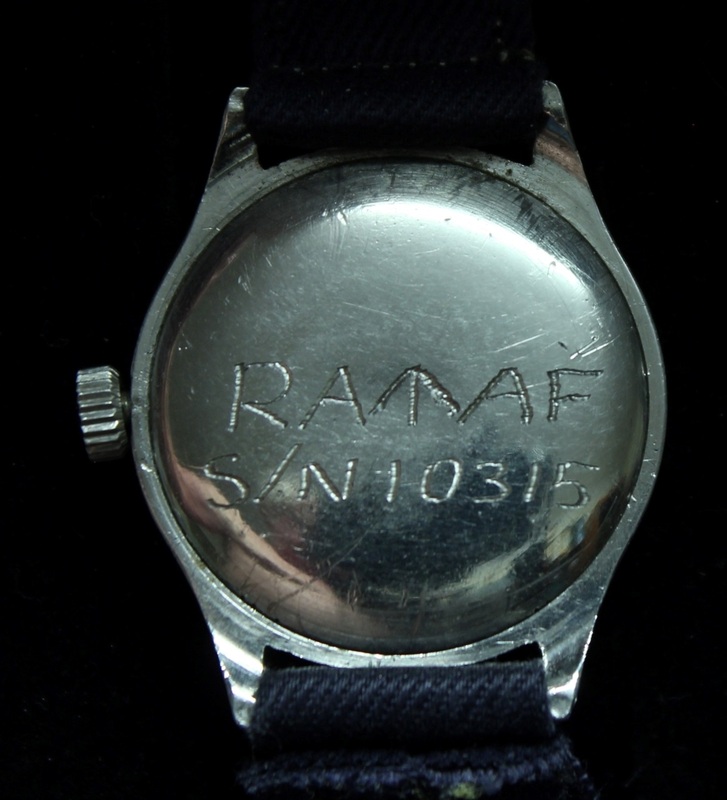 Back view of watch. PI308. 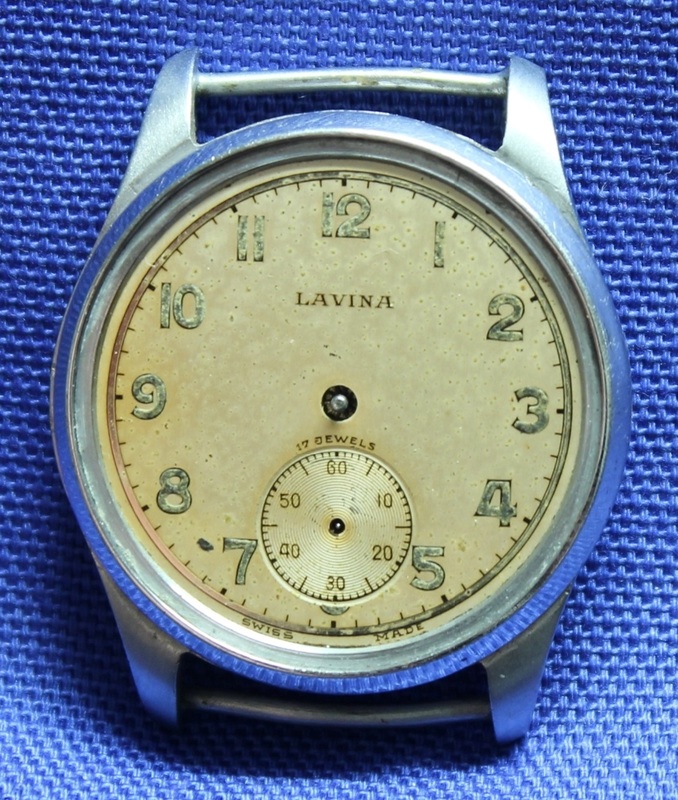 A silver Lavina wrist watch engraved R. Cornall 54170 R.A.A.F. Ralph Christian Cornall enlisted on 18 Apr 1942 at Melbourne and discharged with the rank of Leading Aircraftsman on 7 Feb 1946 from No 9 Air Support Unit. PI308. Back view of watch. PI320. 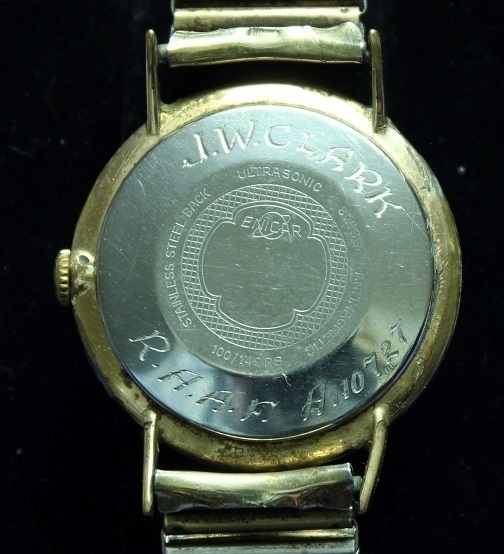 A gold Swiss Made wrist watch engraved to 84538 Robinson W. G. R.A.A.F. Wilbur Glen Robinson enlisted on 18 Mar 1944 at East Fremantle and discharged with the rank of Leading Aircraftsman on 10 May 1946 from Headquarters North West Area. PI320. 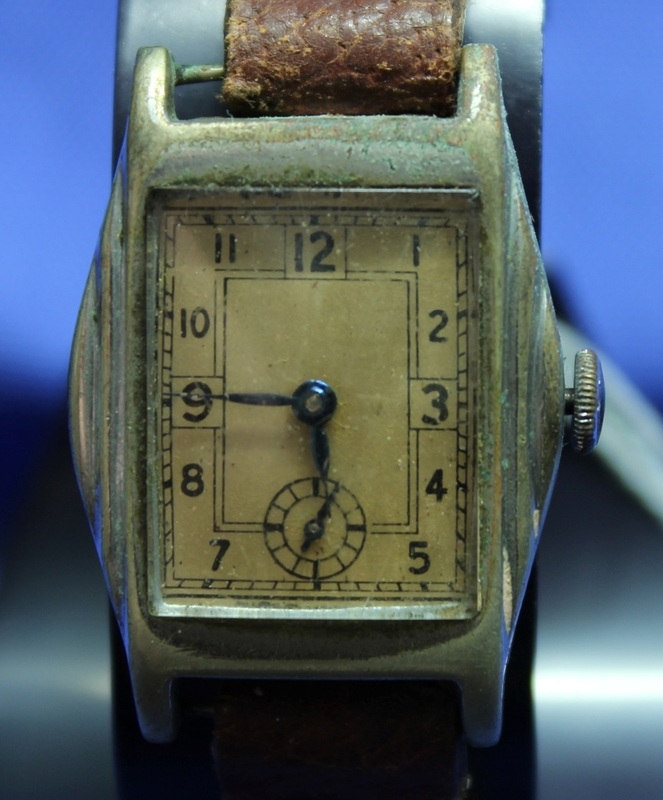 Back view of watch. PI339. 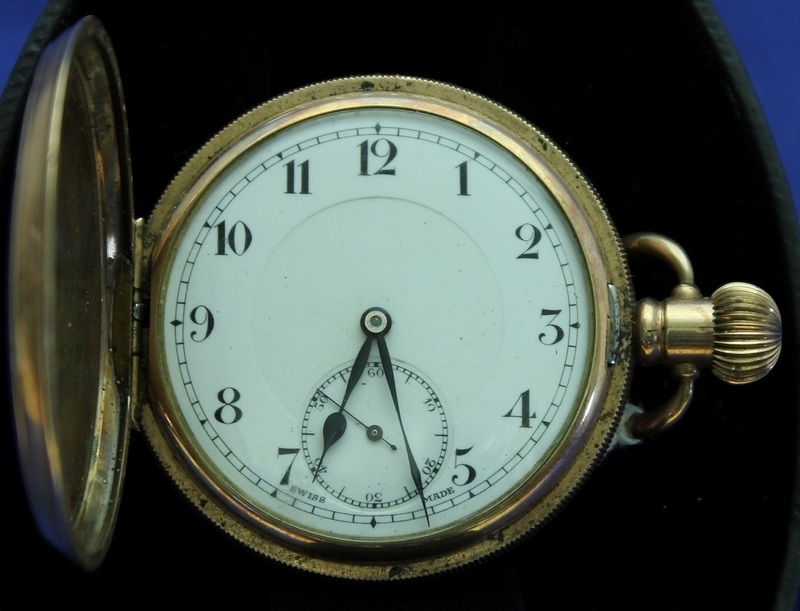 A post war circular 23 jewel Enicar Ultrasonic wrist watch engraved to A110727 J. W. Clark. PI339. 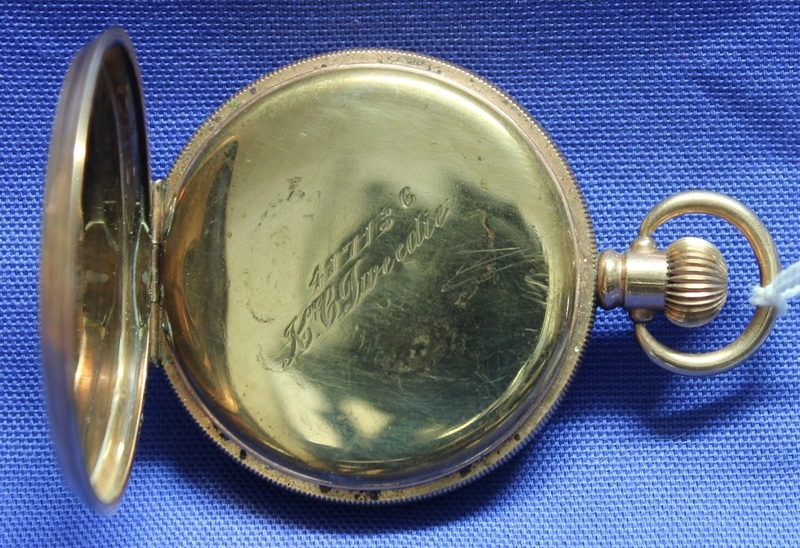 Back view of watch.